Continuity Hell | No Chic. Just Geek. It is one of those curious and perhaps somewhat cherishable paradoxes that probably the most alien society depicted in any depth on Star Trek is that of the Federation itself, the one to which the vast majority of the various series’ human characters belong. When you think about it, this isn’t so surprising, given that the various other cultures are intended to illuminate less enlightened aspects of human nature as it exists today, while the Federation represents the Roddenberry ideal of an evolved humanity. The Federation is a difficult concept to get your head around, in some ways. One thing that both admirers and critics of Star Trek have seized upon is the fact that the Federation, according to several of its more prominent citizens, does not use money. Critics conclude that the franchise is therefore a puff-piece for a spurious and imaginary socialist utopia. 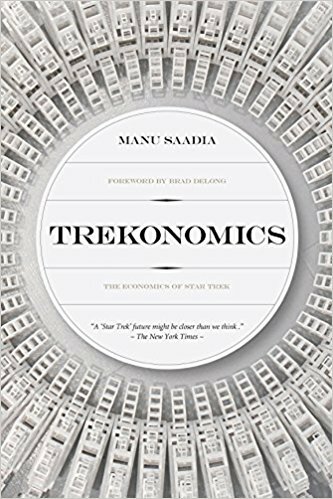 Supporters sometimes take a different view: and the most cogent explication of these that I’ve read is Trekonomics: The Economics of Star Trek, by Manu Saadia. Saadia does not attempt to explain how the economies of the Alpha and Beta Quadrant function in the year 2370. This is probably quite wise, as – just between you and me – I don’t think there is much sense to be made of this. Saadia takes the ‘we don’t use money’ position, as stated by Captain Kirk (amongst others), at face value, and ignores the multitude of occasions where people casually talk about buying a boat, or selling a house, or paying for someone else’s dinner, or have a purchase charged to their account, or whatever. He assumes that the Federation, if not some of the other quadrant powers, is effectively infinitely wealthy, with its inhabitants living in a post-scarcity utopia, operating a reputation-based prestige economy. This arguably doesn’t match up with what is shown or implied on screen, and begs numerous questions about how and why the Federation engages in trading relationships with the other polities of the 24th century, but it’s one of the central planks of Saadia’s thesis: which is that Star Trek depicts a situation which could be achieved here on real-world Earth in the foreseeable future. As always with this kind of The (Academic Discipline) of (Popular Franchise) title, the question is one how much it’s actually about the Academic Discipline and how much it’s just a grab for the cash of fans of the Popular Franchise. Pleasingly, Trekonomics combines impressive intellectual heft with a deep and loving knowledge of Star Trek – Saadia obviously knows his stuff in both departments, and Trekkies who check this book out will come away with a greatly expanded knowledge of theoretical concepts such as doux-commerce and the tragedy of the commons, while economists will gain an equally practical grounding in topics as diverse as the galactic warp-speed limitation crisis of 2371 and the legal status of authors who are holographic AIs in the closing years of the same decade. 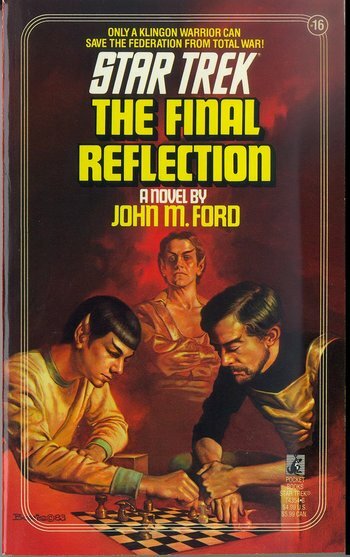 This is more of a collection of essays than a book with a single coherent argument – there are opening chapters discussing topics such as the (apparent) absence of money from the Federation, the fact that everyone nevertheless seems to be working very hard for no apparent material reward, and the manner in which the Federation’s economy seems to be built around the principle that access to the replicator (a make-virtually-anything-out-of-virtually-thin-air machine) is available to all citizens at all times (money, the great metaphorical all-purpose conversion technology, has been superseded by the replicator, an actual all-purpose matter conversion technology). From here the book moves on to touch on such topics as the limitations of natural resources, the management of common goods, and the place of Star Trek in the lineage of utopian science fiction (the Strugatsky brothers get a name check, as does Iain Banks for his wonderful Culture stories, but Saadia argues that Trek’s main inspiration was the SF of Isaac Asimov – a curious idea, given Trek features robots and the like less than arguably any other well-known SF franchise, but one which actually seems to be sound. 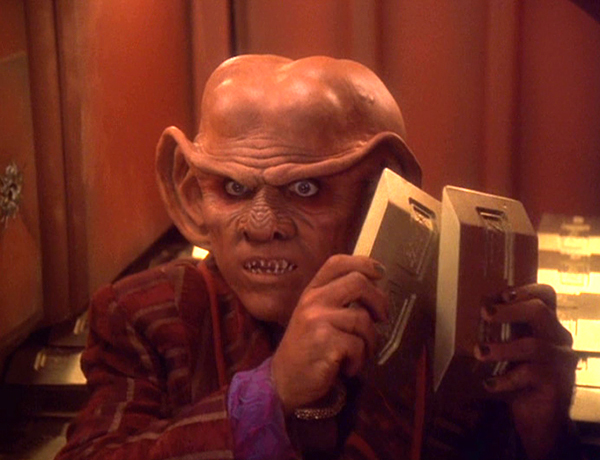 Then there’s a whole chapter devoted to a look at Star Trek’s great economic adventurers, the Ferengi, and finally a discussion of what the genuine chances are of a Trek-like economic settlement being reached in the real world. Set against this, however, are a range of fascinating insights into Trek, both in terms of canon and theory, which make the book well worth reading even if you’re just not that into economic philosophy. Saadia draws the reasonable and pertinent conclusion that the miraculous replicator, source of the Federation’s immense material abundance, was not invented until some point in the (largely uncharted) decades between the end of the original cast movies and the beginning of TNG, which therefore means that the cashless economy (if you believe in it) came first (the most famous instance of a ‘we don’t have money’ line comes from a Kirk who hails from about the year 2285). 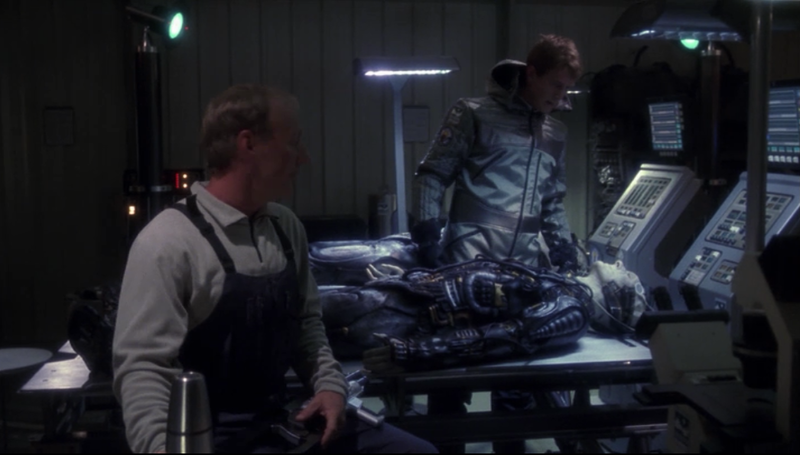 He also suggests that it’s the material abundance enabled by the replicator which is responsible for the transformation in human behaviour by the time of the series set in the 2360s and 2370s – the reason why most of the characters from these shows are somehow not quite as vital and engaging as the original crew (according to Manu Saadia, anyway) is that by the 2360s everyone has gone a bit Spock – freed from economic concerns and pressures, they have fewer recognisably human drives and motivations. Whether or not you agree with the author’s take on Trek, this is stimulating stuff, if you have the right kind of brain; certainly it made me want to revisit several of the episodes he examines (and also regret the fact the various shows didn’t find a way of exploring these issues in a more coherent and systematic way). If the future of Star Trek is in doubt at the moment (and we must admit that this is perhaps the case), then it’s because many people seem to have lost the capacity to be optimistic: there is no place for utopianism in a world where Trump and Putin are in power, runs the argument. Well, I’d say exactly the opposite, and I suspect that Manu Saadia would, too: his conclusion is that the paradise-like Federation depicted in the TV shows is not a fantasy enabled by improbable machines like the replicator, but the result of concrete social, political, and economic choices on the part of its people. The same choices are available to us now. He doesn’t suggest this will be an easy path – quite the opposite – but that the option at least exists. Is the book’s argument convincing? Well, perhaps not completely, but I think it makes more than enough points to qualify as worthy of consideration. One of the best books of its kind that I have read, and certainly one of the most relevant to the real world. Join me now as we crash headlong into the main problem confronting anyone attempting to sample the whole breadth and depth of televised Doctor Who: the sheer lack of available material when it comes to the eighth Doctor, as played by Paul McGann. With only one ninety-minute movie to his credit, surely McGann is the invisible Doctor as far as the world at large is concerned – that’s not to denigrate the numerous comic strips, novels, and CDs that were produced (and continue to appear) about this version of the character, but McGann’s own self-deprecating appraisal of himself as ‘the George Lazenby of the Time Lords’ possibly overstates his importance in terms of the TV incarnation of the programme. Then again, the existence of a Doctor who was both official and yet barely delineated was a boon to the makers of those same spin-off properties, and it would foolish to say they had no part in bringing about the programme’s eventual return. In any case, the eighth Doctor’s place in the series’ history is not our topic for today – the movie which constituted both his debut and swan-song is. Technically there is a problem here, as I did set out only intending to write about stories which I have always really enjoyed: and I recall my initial impression of the movie mainly being one of bemusement, transforming into active dislike within the space of a year or so. But there’s nothing else available for this Doctor, and I don’t think I’ve actually sat down to watch the movie since before the series actually came back. Possibly, I thought, viewing it again now would reveal it to be a natural and organic step in the development of the series – the missing link between Survival and Rose? The plot goes as follows (oh boy): the Master has been executed by the Daleks on Skaro, and the Doctor has been charged with transporting his remains back to Gallifrey. However the Master is not as dead as he appears, having transformed himself into a blobby snake thing, and manages to force the TARDIS to crash land on Earth at the end of the 20th century*. 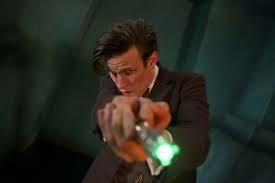 Walking out of the TARDIS, the Doctor is caught in the middle of a gang fight and gunned down. So, as I say, it’s a very long time since I have been able to muster anything approaching genuine affection for the TV movie as a whole – has this latest return to it done anything to change that? Well, no. I still think that, in a unconscious moment of devastating candour, the movie reviews itself quite early on. The Doctor, who is not in good shape, finds himself in the hands of some well-meaning rich Americans, who promise to do their best to make him better than ever. However, they fundamentally misunderstand what makes him work and end up practically killing him instead. Substitute the TV show for the character and you have the movie in a nutshell. This has never really felt like ‘proper’ Doctor Who to me – which is not to say that there aren’t some lovely isolated moments along the way, most of them connected with the performances of the two leads – after a surprisingly grim first act, most of it has a playful, intentionally romantic quality to it which even the 21st century series at its most sentimental has hardly ever tried to emulate. The focus of the plot solely on the Doctor and the Master – with a climax set entirely in the TARDIS – is arguably a misstep too. This is before we even get to the fact that the resolution of the plot is, by any conventional standard, incomprehensible gibberish, which even some of the characters don’t seem to understand (God knows what American viewers new to the series would have made of it all – the programme makes virtually no concessions to anyone unfamiliar with the set-up of it all). And as for it being the missing link between Survival and Rose – the weird thing is that those two stories don’t actually need an additional link, in narrative terms they are remarkably close together in many ways. This story is just a weird detour off into some very peculiar territory, incorporating a heritage Doctor (all crazy hair and frock coat), a peculiar religious subtext, one of Eric Roberts’ less distinguished performances (surely one of the most erratic big-name performers currently operating – one minute he’ll be perfectly fine in a classy film like The Dark Knight, the next he’ll be easily the worst thing in a piece of trash like DOA), and a strange obsession with honouring past continuity while wildly innovating upon it. 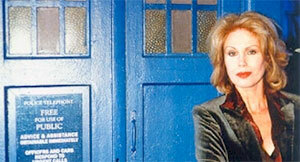 The Kissing Thing: it’s strange to recall just what a big fuss got made about the Doctor kissing Grace back in 1996. I suppose the one and only way in which the movie anticipates the modern series is in its conception of the Doctor as, potentially, a romantic hero, as it’s become pretty much de rigeur for each new incarnation to have his own little osculatory interlude. In retrospect, it hardly seems worth going on about it. The Eye of Harmony Thing: not long after the movie broadcast I was asked by a somewhat puffed-up acquaintance if I’d spotted the continuity error. ‘Which one?’ I enquired, rather drily. 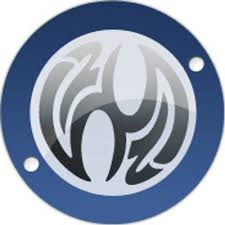 ‘The one where the Eye of Harmony used to be on Gallifrey but now it’s in the TARDIS,’ came the reply (where, according to Journey to the Centre of the TARDIS, it has remained). Well, personally, given that the Eye is supposed to be a singularity and thus have a rather tenuous relationship with the standard laws of physics, I have no issue with it being in two places at the same time (or even many places, assuming the Eye is the power source of every TARDIS), or indeed looking radically different. On the other hand, I am somewhat bemused as to what the Eye of Harmony actually does in the TARDIS these days – if it is still a source of infinite power, and the ultimate motive force of the vehicle, then why have there been a couple of stories kicking off with the TARDIS needing to be refuelled? But I digress. The Half-Human Thing: Here we go. If the Doctor kissing has now become much more acceptable to an informed audience, the idea of his being half-human remains beyond the pale. A stony silence has descended with respect to the whole concept, almost as if it has been stricken from the collective consciousness of fandom. None of this explains the business about the Eye of Harmony not opening for Time Lords, only for humans. The audios had a valiant stab at retconning this, but I think it’s really one of those things best left as a mystery of time (i.e. swept under the carpet of awkward continuity issues). The Doctor’s Precognitive Powers Thing: this is just cobblers (it’s been even more fiercely ignored than the half-human plot point). God knows what they were thinking of. I’m going to stick my neck out on this one and suggest the story happens on the last two days of December, 1999. Controversial, I know. What is perhaps more interesting, and less facetious, is the issue of when the Master’s ‘execution’ at the start of the movie takes place, given it occurs on the planet Skaro. Skaro was destroyed on-screen in Remembrance of the Daleks, but the date at which this occurs is not given. Now, going solely from what we see on screen: given the Doctor’s meetings with the Daleks occur out-of-sequence, there’s no reason why the trial and execution couldn’t occur at any point in Dalek history, long before the planet’s destruction – the Master’s history with the Daleks is much less extensive than the Doctor’s (as far as we know), but given the manner in which he arguably lets them down at the end of Frontier in Space, I would suggest that from the Daleks’ point of view the trial occurs post-2540 (which is when that story is set). This still doesn’t explain the oddity of the Daleks actually putting someone on trial at all, given they are normally quite happy to kill people out of hand whenever it suits them: they certainly don’t respect any outside authority in moral matters. Nevertheless, they do the same to Davros at the end of Revelation of the Daleks, which perhaps gives us a clue – both the Master and Davros have a history of potential utility to the Daleks, so it may be that the ‘trial’, rather than a legal proceeding, is more a sort of assessment as to whether it’s worth keeping him alive as a potential ally. Complicating all this is the fact that an abandoned Skaro appears on-screen again at the beginning of Asylum of the Daleks. Given the Daleks apparently ‘withdrew from history’ prior to the Time War, it would be odd for the history of their homeworld to remain accessible to time travellers, but on the other hand, it seems entirely reasonable for the apparently-cataclysmic temporal upheavals of the Time War to have somehow restored the planet (which is in ruins anyway) – so I would suggest the Asylum scene is set in the post-Time War history. Rusty Davies has made an apocryphal contribution in this area, suggesting that the TV movie occurs in the very final days before the Time War begins in earnest, with the Master having been handed over for execution in an attempt to appease the Daleks (the ‘Act of Master Restitution’) – presumably their getting the remains back afterwards was part of the deal. (This presumably gives the eighth Doctor quite a short tenure before the war catches up with him!) Nevertheless this still places the TV movie as pre-War, and so Skaro can only be there if the Daleks have already been engaging in a little surreptitious rewriting of the timelines (a little-known side effect of this sort of behaviour is a sudden rise in the pitch of the voice). I can’t honestly bring myself to believe that anyone really thought The Name of the Doctor would actually reveal the, er, name of the Doctor: Steven Moffat may enjoy stretching the format of Doctor Who until it groans under the strain, but even he wouldn’t destroy it completely [How young and naïve I was when I wrote this – A]. Finding out the Doctor’s ‘real name’ (I suspect we are now obliged to put that in inverted commas) would, in a strange way, be absolutely fatal to the appeal of the character, although the exact reason why is difficult to explain: it would be the equivalent of Sherlock Holmes settling down and getting married or, perhaps, Superman starting to wear a mask. Thus has it ever been: a lot of the original paperwork for the series has been put back into circulation, as the golden anniversary draws closer, and there never seems to have been a serious attempt at issuing our hero with a conventional name other than ‘the Doctor’ (or, in production documents, Doctor Who). Nevertheless the series has played with the notion of exactly what it is that the Doctor writes down when signing his library card, and needless to say, a lot of this is wildly inconsistent. 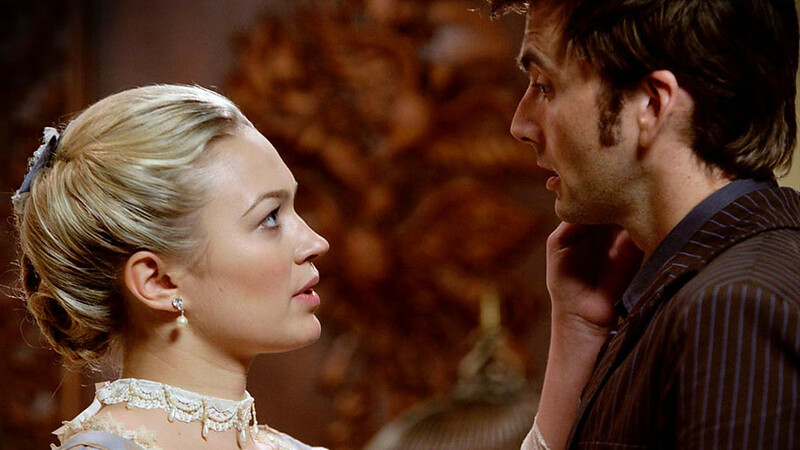 For the first ten or twelve years of the series, the question of the Doctor’s name is rarely addressed on-screen. He acquires (or, rather, is given) the pseudonym John Smith in The Wheel in Space, which he’s used on and off ever since, but this is clearly just an alias. 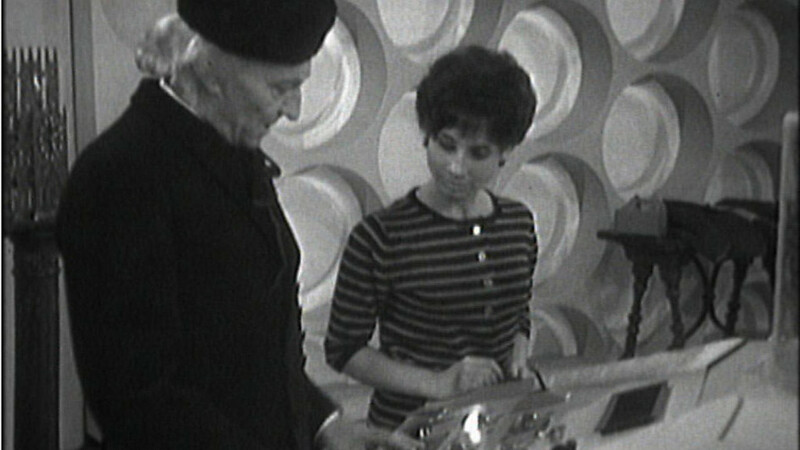 However, in a couple of the early stories there appears to be on-screen evidence that his ‘name’ really is Who, as unlikely as that sounds: he signs notes ‘Doctor W’ rather than ‘the Doctor’, and adopts the alias ‘Doktor von Wer’ when pretending to be German. More interesting (not to say notorious) is the cliffhanger to part one of The War Machines, in which the computer WOTAN declares that for its plan to succeed ‘Doctor Who is required’. The Who family. Or not. Well, I suppose you could say all this constitutes ‘case closed’ as far as the name issue is concerned, and there is, obviously, a lack of direct contradictory evidence. That said, as we’ve already seen, the Doctor is wont to use aliases sometimes, and one has to wonder where WOTAN is getting its information from: there is plenty of wriggle-room here for the various ‘Doctor Who’ references in the text of the series not to constitute a smoking gun. And, let us not forget, here we are dealing with black-and-white Doctor Who, the earliest days of the series where its continuity and mythology are still in the process of being established. There does appear to be evidence that our hero is called Doctor Who. There is also evidence that he only has one heart and an unlimited number of regenerations, and that the TARDIS shell can have holes cut in it by very ordinary alien tech, none of which even the most dedicated old-school fan would suggest is ‘really’ the case. 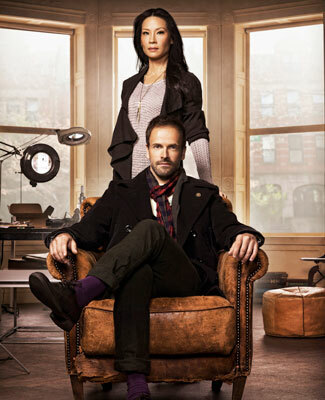 Digging one’s heels in over the ‘Doctor Who’ thing in particular is an odd position to take. While there is hardly any direct evidence to contradict the ‘Doctor Who’ references, there is plenty of indirect material to work with. Once the Time Lords appear on the scene, the Doctor’s name becomes a bit more of an issue, as one would expect them to know what it is and use it. The show gets round this rather neatly, by hardly naming any of its Time Lord characters prior to 1976! (This chimes rather nicely with the presentation of the Monk on his appearances in the 60s.) The only ‘named’ Time Lords prior to The Deadly Assassin are Omega (a marginal case) and Susan (definitely a retcon – and probably not her real name either). Terrance Dicks touches on the name issue in a couple of novelisations, not that these strictly count: the Doctor at one point is reluctant to tell his name to the Brigadier, partly because names have a special significance for Time Lords and are not lightly divulged, but mainly because the Brigadier will never be able to pronounce it (a gag Terrance may have lifted, consciously or not, from the Star Trek episode This Side of Paradise, where Spock gets a similar line). 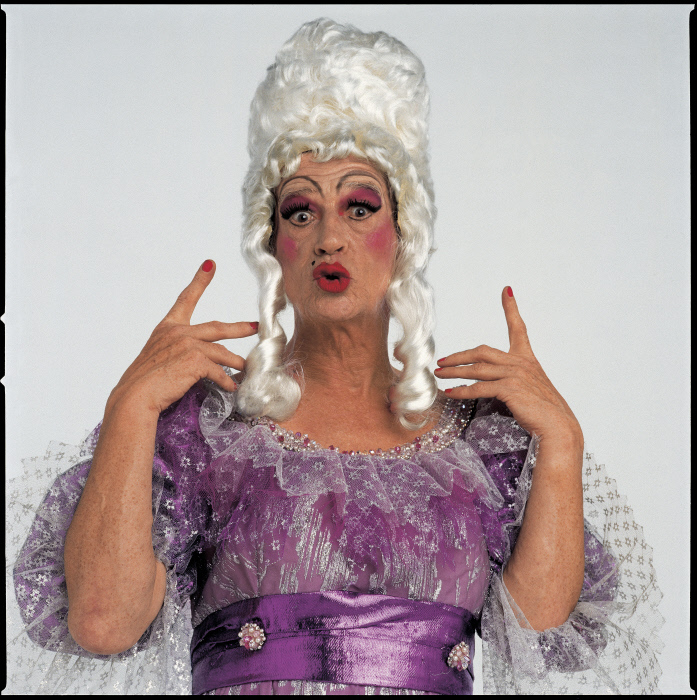 On another occasion a visiting Time Lord refers to the Master by his real name, which Terrance finds himself unable to represent using the English language and instead describes as ‘a mellifluous string of syllables’, or words to that effect. However, The Deadly Assassin and its heirs are filled with Time Lords, many of whom are named, and none of said names are particularly challenging to the tongue: even leaving the possibility that some of these people are not full Time Lords, Borusa definitely is, as was former President Pandak. Just another example of The Deadly Assassin‘s rampant iconoclasm, I’m afraid. Tellingly, everyone addresses the Doctor on-screen by his title, even those of his superiors who know him relatively well. There’s an attempt to redress the balance when Romana is introduced, as she does have a long and relatively difficult-to-pronounce name, Romanadvoratrelundar, which is then chopped down for convenience. However, she objects to this, which suggests it hasn’t happened before – so it doesn’t seem to be the case that Time Lords routinely have a full, complex formal name, and an abbreviated everyday name. In The Armageddon Factor, we learn the Doctor’s school nickname was Theta Sigma (hey, there are worse possibilities), which is another neat way of dodging the issue, but from this point on the series settles down a bit – the issue of the Doctor’s name is barely ever addressed, even when the question of his actual identity becomes an element of the plot (as in Silver Nemesis). Pretty much the only exception to this is a gag in the opening episode of The Trial of a Time Lord where the Doctor appears to be about to casually reveal his full name unprompted, only to be interrupted at the crucial point (from memory, the dialogue goes something like ‘I may write a paper – Ancient Life on Ravalox, by Doctor -‘ ‘Doctor, look!’) – I wish the very best of luck to anyone trying to reconcile this with the current ‘the Doctor’s true name is a dreaded secret which must never be revealed and which he will go to tremendous lengths not to say out loud’ position. Nevertheless, that seems to be where we’re at. It seems to be a trope of the 21st century series, and Moffat in particular, to take things that were the unarticulated subtext or conventions of the old show and write them into the text of the new incarnation – this runs from elements like the Doctor’s character, to changes in the appearance of recurring monsters. And the same has happened with the mystery of the Doctor’s name, which has gone from being just one of those things to a universe-shaking secret. To be fair, Moffat has been setting this up for six or seven years – the ‘terrible secret’ idea makes an appearance in The Girl in the Fireplace, after all – but one still gets the sense of him writing himself into a corner: he can’t actually reveal what the secret is, can he? Perhaps this explains why The Name of the Doctor feels like it fails to deliver, almost as if Moffat’s grand plan is something he’s making up as he goes along. Certainly, the situation on Trenzalore which is shown on-screen does not appear to match the one described by Dorian a series earlier (again, from memory: ‘…no creature may speak falsely or fail to answer…’, which certainly doesn’t seem to be the case! ), although if the universe is going to collapse as a result of the Intelligence corrupting the Doctor’s timeline this would definitely count as ‘silence falling’. One thing The Name of the Doctor does do, by the way, is flatly and directly contradict the ‘his name is Doctor Who’ position. The episode makes two things clear: the Doctor’s tomb will only open if his name is uttered, and it’s River who eventually does so, off-screen (so it doesn’t matter who says it). Crucially, when the Great Intelligence goes into its ‘Doctor who? Doctor who? 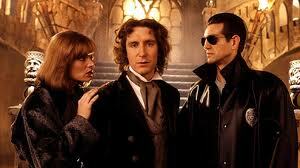 Doctor who?’ routine, the tomb stays shut: so ‘Doctor Who’ can’t be the name on the dotted line. River makes it clear that she says the real name, and only because no-one else was going to. So maybe The Name of the Doctor did tell us something new after all. It’s a small thing, but at least that’s one possibility eliminated. Whether the whole mystery-of-the-name issue is now resolved (or as close to resolved as a Steven Moffat script gets), basically being just a lead-in to the mystery of John Hurt’s missing incarnation, remains to be seen. I rather suspect it is, because there’s a limit to the number of interesting stories you can tell about a mystery you can never, ever resolve.